Whisk: "The Most Advanced Food App Ever"
We’ve already brought you 12 health-focused apps to help you start 2013 the right way, which included the likes of Thryve, a neat food-tracking app that focuses on feelings and food-types rather than counting calories. Now another app for foodies has launched for iOS and Android, courtesy of Apprentice runner-up Nick Holzherr, the hit UK BBC show designed to unearth some of the best British business brains. Holzherr secured £170,000 last year to develop Whisk, a figure boosted to more than £500,000 following a recent second-round investment stage. In a nutshell, Whisk is a service that creates online shopping lists based on recipes, and the resulting app claims to be the most “advanced food app ever created.” Tasty words, for sure. Meanwhile, a team of 15 has been working on Whisk since June, and the resulting platform incorporates “advanced semantic and linguistic analysis” to interpret recipes and automatically add them to an online shopping basket which can then be delivered direct to the consumer’s door. It’s an interesting concept for sure. First up, it’s worth noting that Whisk is actually a really beautiful app to look at. But looks can be deceiving right? For sure, they can be, but Whisk has more going on than good looks. 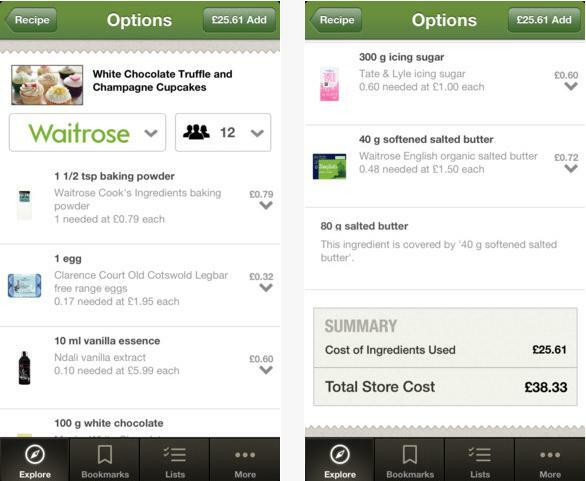 When you first launch the app, you’ll be invited to connect your Waitrose or Tesco accounts, to help streamline any grocery shopping you need to do. This does mean, however, that this key feature is limited to UK shoppers. You can skip the supermarket sign-in, and get straight to the action. Once in, you’ll see a list of options – Quick and easy, Sweet Things, Festive Food, Dinner Party, Inspirational and Healthy Food. You can save ‘Star’ recipes as your favorites, or go straight to the checkout. 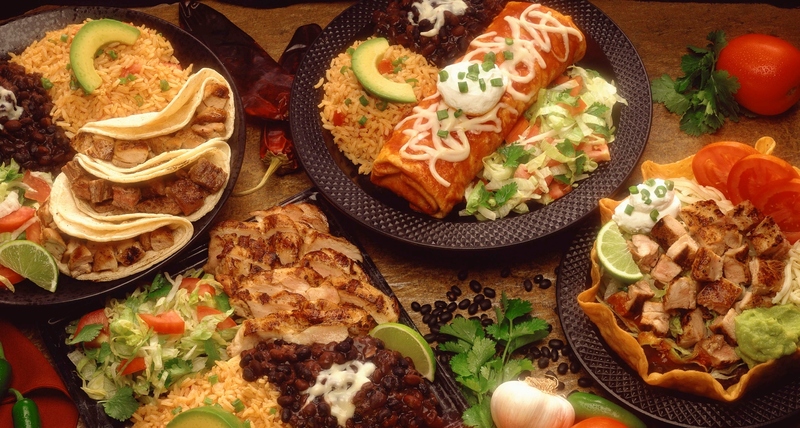 Here, you can tell it exactly how many folk you’re catering for, which serves up (pun intended) the exact amount of ingredients required. You can adjust your shopping list if you already have certain ingredients, or ‘let whisk choose items for you’. 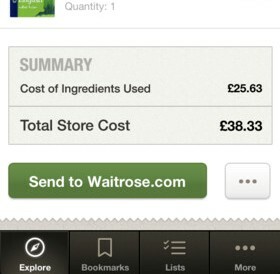 When you’re good to go, you hit the virtual checkout and click ‘Send to Waitrose.com’, or ‘Send to Tesco.com’. Now, Whisk simply taps existing recipes from Food Network, so there’s nothing particularly new about the content here. But the integration with Tesco and Waitrose is certainly food for thought, but it really does need to open things up a little to appeal to a more global audience. In future iterations, it will let you add a recipe from any cooking website and sync to your shopping list through the Whisk app. It’s probably also worth mentioning here that Food Network has incorporated a little Whisk widget into recipes on its website from 16 of its celebrity chefs, including Nigella Lawson. This lets you buy items directly from a recipe on its site. Waitrose has been brought on board to deliver the items directly from the Food Network site, and Whisk in talks with more supermarkets. This is actually a very clever use of its technology, and opens it up to many more people across the UK. If Whisk can continue to build up partnerships with other recipe sites and supermarkets, the sky’s the limit. Other upcoming features include the ability to remember your product preferences, and which ingredients you still have from a previous shopping session. Plus, it will recommend recipes to cook with any leftover ingredients. So all in all, it’s a decent first attempt from the Whisk guys, but there’s clearly room to build out the features. Although Holzherr is the public face of the firm, he has been helped by some other rising stars including his co-founder Craig Edmunds, who previously led the teams which developed the transactional functionality of LastMinute.com and Expedia.com. While Dr. David Brooks, who boasts a PhD in artificial intelligence, is overseeing the machine learning and natural language processing functions of Whisk. “Lord Sugar was adamant that the technology was too complex to bother building, but we have proven that it can be done,” explains Holzherr. “We have had to push the boundaries of existing language interpretation technologies and ensure that we have the back-end capacity to cope with millions of complex transactions. 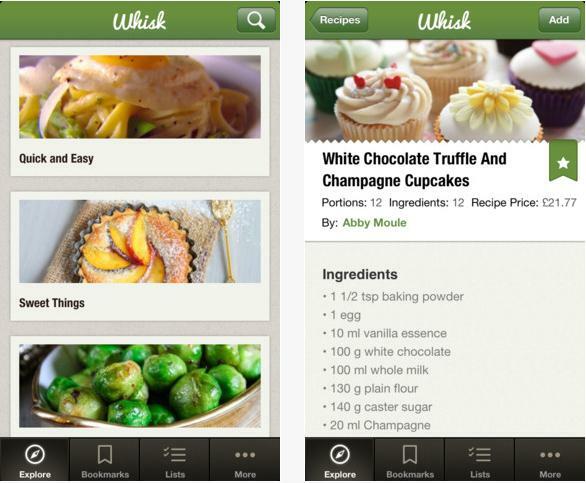 Whisk is available to download for free now, on iOS and Android.